Create, Sell, Market and Manage Courses Online. Commercial Elearning Solutions for Education and Training. Course Authoring - Software & Professional Services. Course Merchant - Award-winning Ecommerce for Elearning. CourseIndex.com - Digital Marketing for Course Sellers. CourseCRM - CRM integrations for Moodle & Totara LMS. We design, build and support websites and develop ebusiness software solutions for the Education & Training sector. 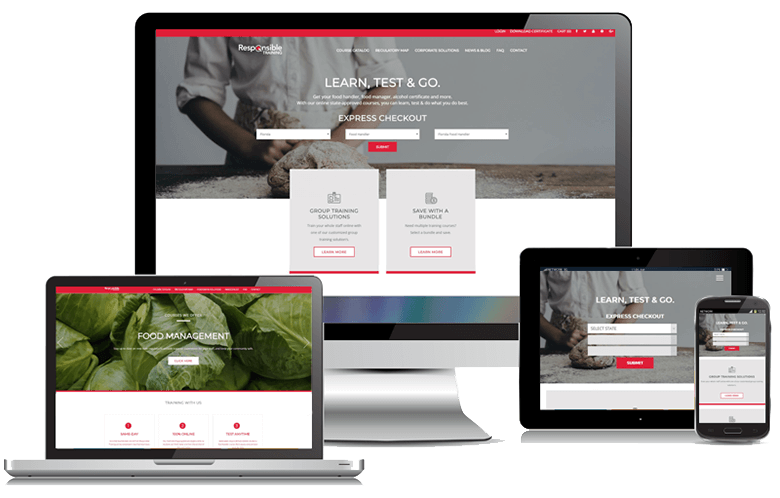 Our flagship product is Course Merchant - a shopping cart capable of integration into popular Learning Management Systems (LMS), such as Moodle, Totara, Brightspace™ by D2L and Kallidus. We are the 'Go To' people for web services in Education and Training. Over 250 clients now use us, all with one thing in common - they want to sell or market their training-related products and services. Instant student enrollment into the LMS with single sign-on. Sell multiple seats and allow purchasers to allocate seats to users with ‘Manage Licenses’ admin capability. Waiting Lists – set seat limitations on courses and enable a wait list when they are full. Quantity discounts, voucher codes and profile-based 'membership' discounts. Selling your eLearning courses online opens you up to a bigger slice of an eLearning marketplace with a projected 10% annual rate of growth that’s expected to be worth at least $325 billion by 2025. If you missed the Live webinar, the recording is available here.